The Solubarome Concentrates are made in France. 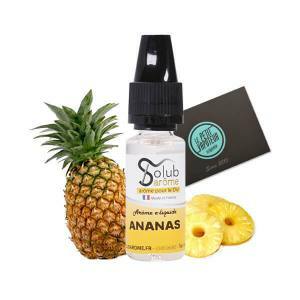 Solubarome specialise in Food Flavourings, but this brand has also created a branch of concentrated aromas for the Electronic Cigarette. The Solubarome Concentrates are convenient for all amateurs of DIY, as for beginners to experienced. The Solubarome Concentrated Aromas are in compliance with the French legislation and European standards. Natural Raspberry Aroma. 30ml for the preparation of your E Liquids. Natural Strawberry Aroma. 30ml for the preparation of your E liquids. Natural Green Apple Aroma. 30ml for the preparation of your E Liquids. A Powerful and Fruity Aroma. With a base of Red Fruits and Blackberries. 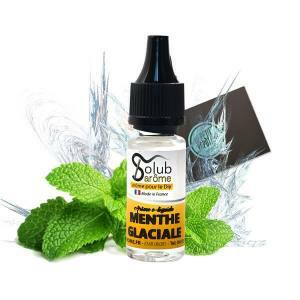 30ml for the preparation of your E Liquids. Solubarôme Cola aroma 10 ml bottles with childproof device. Please note: this aroma must be diluted in a base. A powerful energetic drink with a Blueberry ! Flavour 10ml Bottle. Honey, Verveine, Blackberry, Plum, Chestnuts, Grilled Bread... possible no doubt the Solubarome aroma is 100% French. 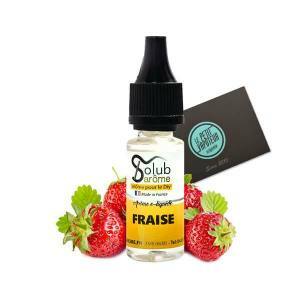 Specialised in culinarian food flavourings , the brand Solubarome is equally proposed for the Electronic Cigarette. The Vapers, experienced in DIY, or beginners, will not be able to resist for a long time to at least tast one of the aromas by Solubarome. Solubarome puts forward the "how-to" with their experience in producing best professional flavourings and fabrication of aromas. With the level of hygiene and quality, the production chain of each Solubarome Aroma respects the European Standard currently in force. Choose your arome or aromas and fabricate your e liquid to your image, which corresponds to you 100%.